If you’re a lover of RSS feeds, you’ll know that they can be extremely versatile. Being able to import new content from your favourite websites into your RSS reader is a tool so handy it’s not easily forgotten. Likewise, being able to grab the latest audio and video podcasts from your favourite content creators is extremely useful. YouTube is also a site filled with video content which can be extracted via RSS. You might be keen to share YouTube RSS feeds of your own content or you might want to get RSS feeds of things that interest you. Whatever your reasoning, you’re going to need to know a little bit about YouTube RSS feeds in order to get started. YouTube RSS feeds are able to be read using most regular RSS readers and podcast software. The YouTube RSS feeds can also be used to bring videos into lifestreams How To Turn Wordpress Into A Life Stream Of All Your Online Blogs How To Turn Wordpress Into A Life Stream Of All Your Online Blogs For most of us, the amount of digital content we produce is staggering - Twitter, personal blogs, professional blogs - but bringing all of that in to one central place is a real challenge. 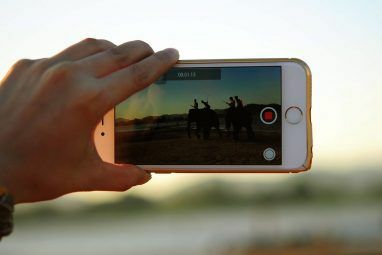 Having... Read More , to be downloaded or to share your feed with video content delivery tools like Miro How To Publish Your Video To Miro & Why You Should How To Publish Your Video To Miro & Why You Should Read More or iTunes. You can preview any feed and generate interesting feeds using YouTube’s Data API Demo [No Longer Available] tool. It will also let you filter for certain categories and do some really interesting stuff. 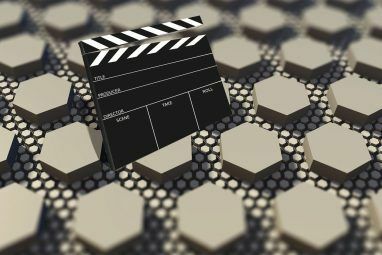 You should note that metadata such as titles, tags and description can be seen in the RSS feed, so it’s important to add those details when you upload your videos to YouTube. For playlists, you’ll need to get the playlist ID. This is the big long code at the end of the playlist URL after you see list= written. For instance, in the following URL, the playlist ID is PL06D1F979F292B698. For more interesting RSS feeds, go to the YouTube Data API Demo tool (as mentioned before). Once of the reasons YouTube RSS feeds are useful is to give you an easy way to download content from YouTube. For instance, you could set things up so that you download videos from YouTube via the RSS feed Download YouTube RSS Feeds Using These 2 Great Tools Download YouTube RSS Feeds Using These 2 Great Tools YouTube offers a variety of RSS feeds for everything from uploads by individual users to search results for any phrase. With these tools, you can download YouTube feeds as video podcasts in iTunes or any... Read More of your favourites or a playlist. From then on, anytime you favourite a new video on YouTube that will be downloaded for you. This could be very handy for collecting local copies of videos your friends and family upload for you to see. There are a number of ways to use RSS to stream video from YouTube within WordPress. 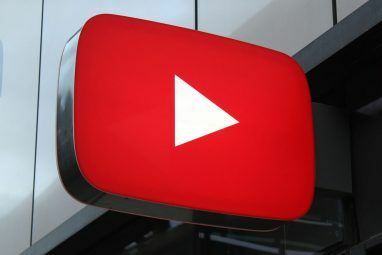 The first, quickest option is to use a plugin like TubePress, which creates a gallery of YouTube videos using the YouTube Data API RSS feeds. There are also ways to code your own RSS feed integration into WordPress. If you’re keen to give that a go, take a look at Jarrett Gucci’s guide to streaming YouTube video into WordPress. The code’s all there for you to cut-and-paste and alter as you see fit. Note, if you’re using WordPress.com you can add video from YouTube using shortcodes How To Make A Wordpress.com Blog Look Professional How To Make A Wordpress.com Blog Look Professional Read More . What are some of the great YouTube RSS feeds you’ve generated or found? What do you use the RSS feeds for? Do you display them on a site, download them, add them to a lifestream or do something else entirely? Explore more about: RSS, YouTube. I was trying to add YouTube feed to playlist or to my video or to my channel and it does not work for Hootsuite feed under Publisher menu. I Understand apps to apps different or/and YouTube updated it's feed's structure and interface often. But at one of you URL example it ask about user and i can not figure out where to find user name for my youtube channel. I even ask Google by email and the only answer i got is ..." you need to have 100 subscribers to have Custom URL"
I remember before it was much easy with custom url, user name now i can not even figure out what is my username is. Your links for the "RSS Feeds For Your Own YouTube channel" are broken. I have a channel, "Vanessa Adelman" and a blog "adventurers-anon.com", and I cannot seem to be able to create an RSS feed so that I can put it on Triberr. Is it true that Google stopped the RSS feed for YouTube? But it seems that it is severely restricted. I got Feedburner to accept the feed, though. There is not the infomation in South Korea internet. It is difficult to find special info. because of monopoly of NAVER that is search engine. Unfortunately you can not subscribe to a youtube rss in the iTunes. Youtube changed something a few months back. If you subscribe to a feed, it will be empty. Thanks for the article, always like automating things. I am a daily user of RSS feeds. I never knew that youtube has this feature. Thanks a lot for this article. Never thought about RSS from YouTube but I will do now, thanks! Thank you for the great article. I am a big fan of youtube download process. and it does it with all of them. Does Anybody have any idea what the problem is or how it could be solved? Have you tried the Flash and Video addon for Firefox? It is by far the best in-browser I found. I know this is not the same process, but I just wanted to share the addon.